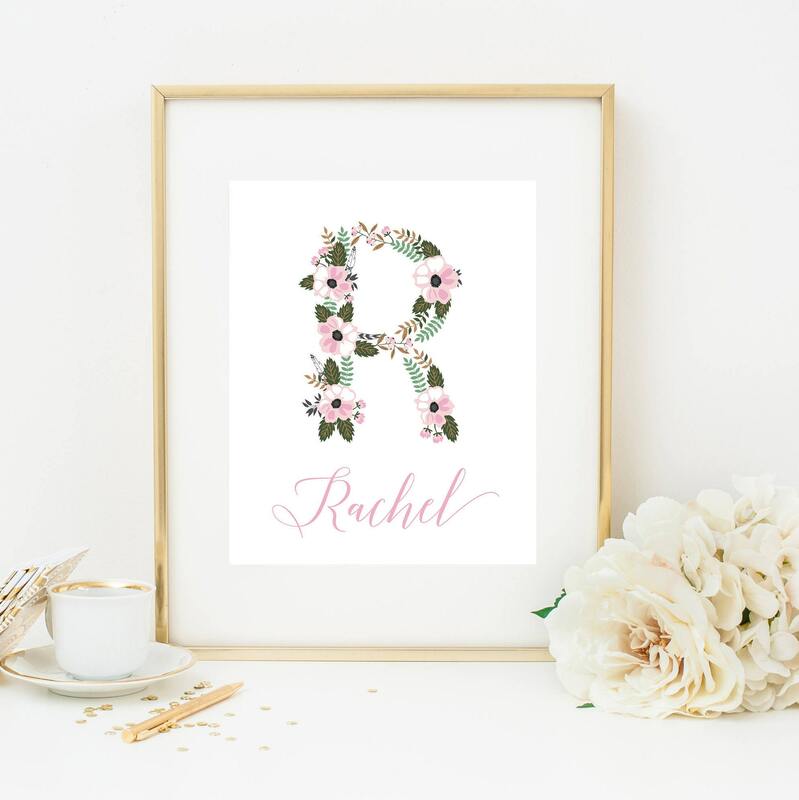 This beautiful design will add the perfect touch to your baby girl's nursery! Do the colors not match your preferences? Convo me! This listing is for a PRINTABLE 5x7, 8x10, or 11x14 digital file that will be emailed to you, which you can then upload to a printing site or take to a nearby print shop. • Email address (please include the email address where you would like your file/proof sent; if no email address is provided, files will be sent to the email on file with Etsy). Within 24-48 hours of purchase, you will be emailed a proof with up to 3 revisions. Once approved, the final file will be emailed to you as a PDF.